Has your doctor prescribed you medication, only to have your insurance decline coverage? Maybe insurance refused to cover the migraine injections because you “only” have 14 days of migraines per month. Or maybe you’re underinsured, or your copays for prescriptions are prohibitively expensive. Whatever your situation, you may still be able to afford migraine shots, and you may not even have to visit the ER. 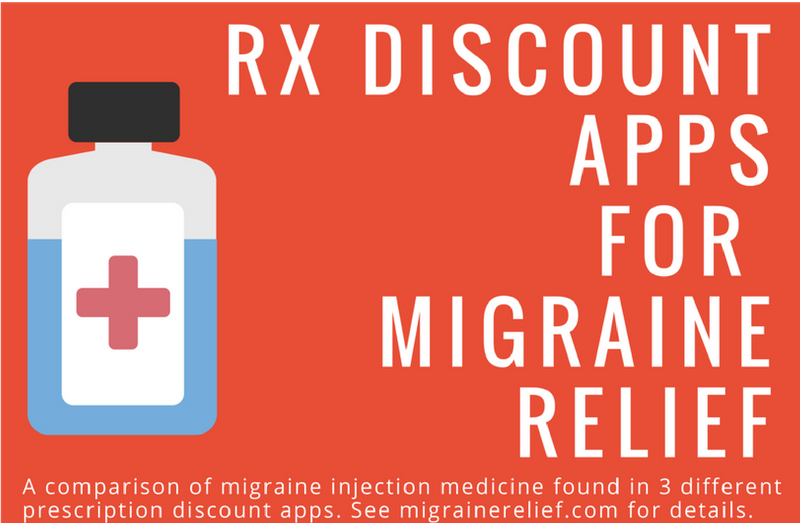 Check out our post on what to do when you can’t pay for migraine medication for suggestions on affording migraine treatments when you’re underinsured or uninsured. 1. Go Generic. If you’ve ever bought NyQuil, Tylenol, or Excedrin Migraine then you’ve bought name brand drugs. Go to any pharmacy and you’ll see the store’s brand right next to the name brand for a few dollars less. We tend to more readily trust name brand products, but don’t be nervous about choosing generic medicine. The FDA ensures they have the same active ingredients and strength as the name brand so they’re essentially the same drug. The difference is the cost of developing and marketing generic is far less, and the consumer reaps the benefit. You can also find generic versions of migraine shots. Sometimes the generic versions are newer and so the doctor isn’t aware that it’s on the market (but can look it up), or like us, they have may have a preference for the brand name version. Your doctor cares about helping you, but it’s up to you to advocate for your budget. Most of your migraine medicine, including migraine injections, comes in generic versions. Don’t pay more if you don’t have to. 2. Get help paying for prescriptions. The Partnership for Prescription Assistance (the PPA) is a free service that connects the uninsured and underinsured to programs that provide prescription medicines for free or nearly free. There’s a pretty straightforward application process to determine your eligibility and program availability and then you get a list of programs that you can contact directly for help. It’s worth noting that some will even qualify to get help with BOTOX injections for migraine relief. 3. Use a prescription discount card or app. A prescription discount card works like a coupon. Your doctor calls in your prescription and you, instead of paying your copay (or the full cost of the drug), show the coupon at the pharmacy and pay a discounted rate for your medicine. The cards offer substantial savings–some as much as 90%–though discounts vary by card, pharmacy, location and medicine. And though they’re intended for the uninsured and underinsured, some medications are so discounted that paying out of pocket is cheaper than by copay. Do a quick google search and you’ll see that there are tons of these cards. Many prescription discount cards also exist as smartphone apps, which may a little easier to find and use than the cards. Find them via the App Store or Google Play, download the app, then search for your medication and compare prices. Choose a nearby pharmacy, or choose the pharmacy with the best price. You can even compare name brand and generic drug prices. Instead of taking the card to the pharmacy, show them the coupon on your phone. Treating migraines can be extremely costly, especially when it comes to migraine injections. But with these tips you may be able to ease both your pain and your financial burden.